Do you want to make some noise during the next promotional outing? 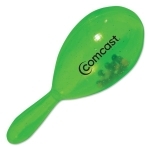 Then you should seriously consider giving away these custom printed maracas to kids. 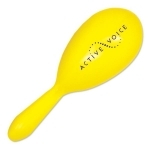 These maracas can be customized with your brand logo and name which makes them effective promotional tools. Made from a durable plastic material with plastic beans, our maracas can add life to any party or gathering. 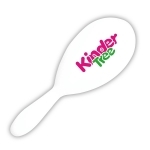 Logo printed maracas make cool giveaways during trade shows, birthday parties, home parties and various other joyous occasions where kids are expected. Order from us in bulk to make some good savings in return! Our prices are the lowest in the industry and it includes online design proof and artwork assistance. Do you want your customers to make noise about your campaign and brand? You should give them logo promotional maracas. 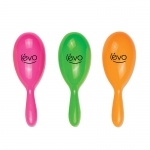 Kids love the sound of these promotional maracas and they will love to shake these during outdoor festivals and parades. 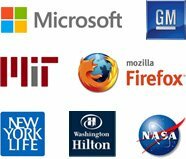 Their parents will be happy to see the smiling faces of their kids and behold, they will start thinking about your company. Create a connection with your young customers and their parents by giving these noisemakers to them. Finally, the time has arrived that your brand wants to be heard! You can hand out some maracas to young kids during the next event and you will have the entire room rooting for your brand within no time. 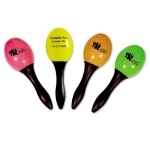 These promotional noisemakers from Promo4kids.com your young guests will enjoy playing with them. 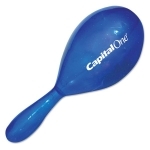 Logo maracas are perfect additions to any community parades, fundraising events, sporting events and holiday sales programs. Kids will shake, shake and shake these maracas until they buy the attention of elders and their friends. When they do so, your brand logo will become a source of their joy and pride. We have these maracas available in various colors and designs of your choice. 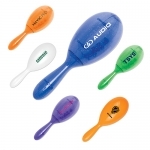 Do you know what makes maracas the best party favors or promotional gifts? These are made of high-quality materials and can withstand wear and tear with ease. Don't just try the word of mouth marketing. Give something to people to talk about your brand by giving away these customized maracas! 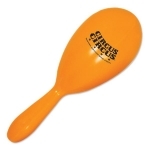 Order these maracas from Promo4kids.com and receive exclusive attention from the ordering to the shipping process. We are here to help you with your requirement and you will still have lots of money in your wallet after ordering these custom maracas from us. We offer the lowest price in the niche and you can easily save when ordering wholesale. To know more about imprint options, best maracas for your budget and event or other details about promotional giveaways for kids that we offer, feel free to contact us at 855-454-3786 or email us at info@promo4kids.com. 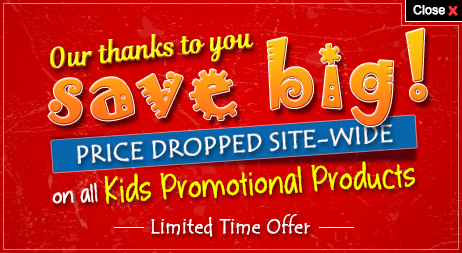 Why should I consider buying from promo4kids.com? We offer one of the vast online collections of promotional products for children (1-3) and kids (4-12). Promo4kids products are affordable to all those who wish to acknowledge, encourage and inspire kids.(4-12). Promo4kids only sells high quality and MADE IN USA products. Are your products safe for kids? Yes, all products offered on our website are kids safe and they strictly adhere to the Consumer Production Safety Improvement Act of 2008 (CPSIA). I am extremely satisfied with my order, your customer service and offer price! Next I am planning to order some tokens from your category of fun, games and music. Hope the same experience will be recreated.